As Wesley Harden strongly believes in historical accuracy, his Bombing series — consisting of Bombing and The Business of Killing was heavily researched. The series has also been read by veterans who flew the actual missions that the stories are based on, and they verify their authenticity. Pick up this riveting and historically accurate fiction today through Amazon or Barnes & Noble. A riveting work of historical fiction, Bombing is set in England during World War II. Follow John Hollis, a young man who came of age during the Great Depression in Chester, Pennsylvania. After graduating from college in 1941, he took a year off so as to earn tuition for medical school. However, his plans were thrown into chaos when Pearl Harbor was attacked and America entered the war. Wishing to avoid the uncertainty of the draft, he became an air cadet. Unfortunately, this forced him to leave behind his one true love, a perfect woman with whom he had been in love since childhood. 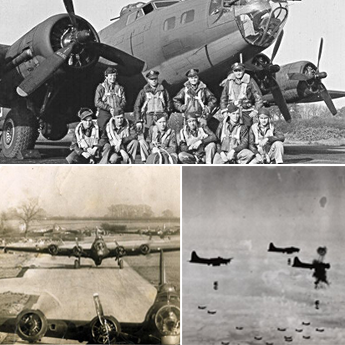 By 1943, John found himself in England, ready to command a bomber. It was the most difficult period of the bombing campaign, with heavy losses incurred and the success of experimental daylight missions in doubt. The cynicism of his more experienced comrades leads John to the realization that this great adventure may cost him his life. The capricious violence of war will transform him from a terrified citizen to a hardened warrior — if he can survive.